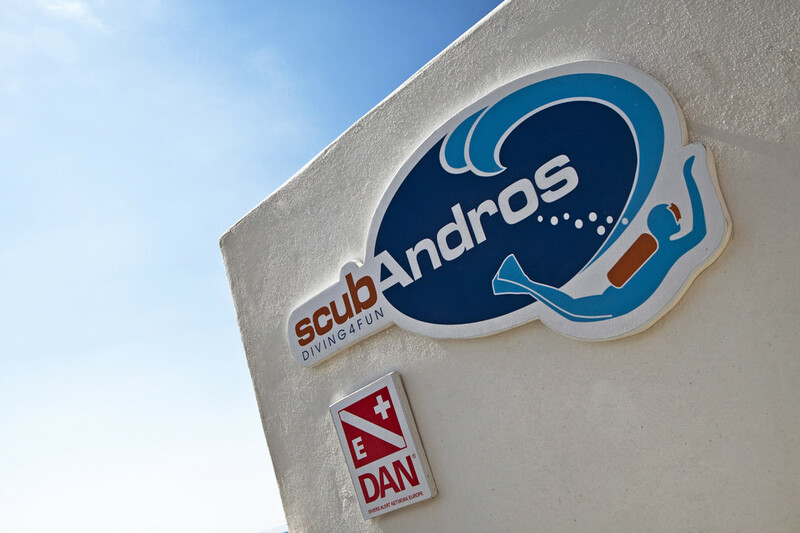 At ScubAndros you will find everything you need for scuba diving at affordable prices. 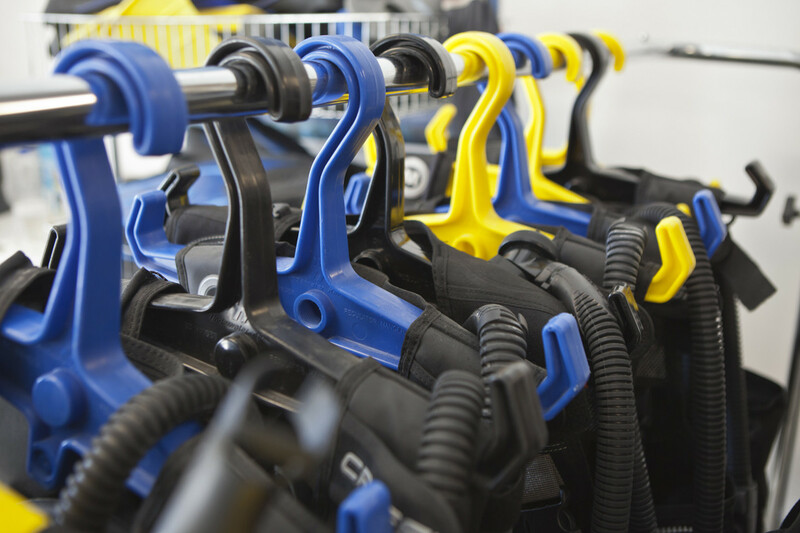 We provide you with the best service by experienced staff, for diving and its equipment. There’s masks, uniforms, fins, snorkels as well as oxygen bottles, not only for certified professional divers but beginners too. 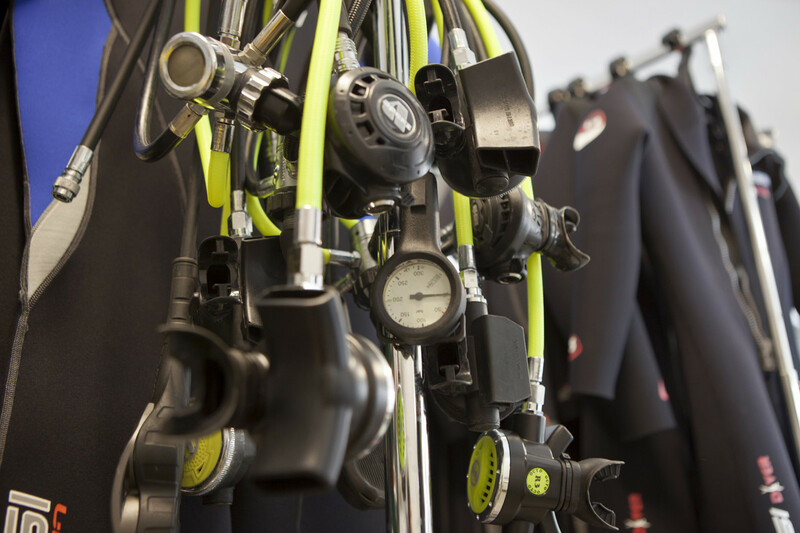 You can find out how to choose the right equipment and perfect for you, according to your needs, your experience and the type of diving you want to do. You will learn information about the thermal protection of the outfit and how crucial it is to feel comfortable in it. The shop gives you the opportunity to rent or buy entirely new equipment. The store has all the necessary things you will use and all the well-known likewise dominant brands in the diving world. The ScubAndros shop service can help you with visual and hydrostatic checks of your equipment, as well as cleaning the links during the dismantling. We will repair the valves, replace the batteries or the pieces that are considered as dangerous. We are following a series of specific cleaning steps and pressure tests of air and water, to ascertain its performance. Also, regulator checks for an accurate reading. Finally, we can make adjustments to your outfit to the wrists and the neck. 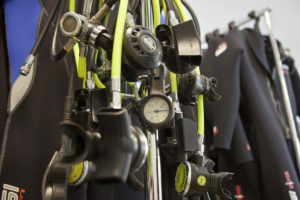 If you like diving, then you may have invested in a suit and scuba diving equipment. You would want to take care of it, to remain reliable for a more extended period or even forever. You must know that with proper preservation its life is prolonged. It is necessary to check and regularly clean all parts. Before and after each dive, make sure that there are no cracks in the equipment, e.g. in the hoses. The good-quality equipment provides you with more security on your journey. 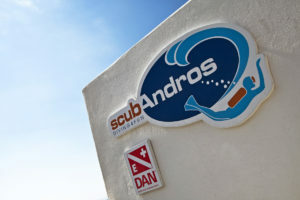 If you stay at Perrakis Hotel, then you will have a 10% discount on all ScubAndros benefits and our PADI programs. You can also rent all the snorkeling equipment for only 10 € / day.